Intercompany accounting is the process of recording financial transactions between different legal entities within the same parent company. Because these entities are related, the transactions between them are not “independent” and companies can’t include a profit or loss from these transactions on consolidated financial statements. Common scenarios include sales and purchases of services and goods between a parent company and its subsidiaries, fee sharing, cost allocations, royalties, and financing activities. 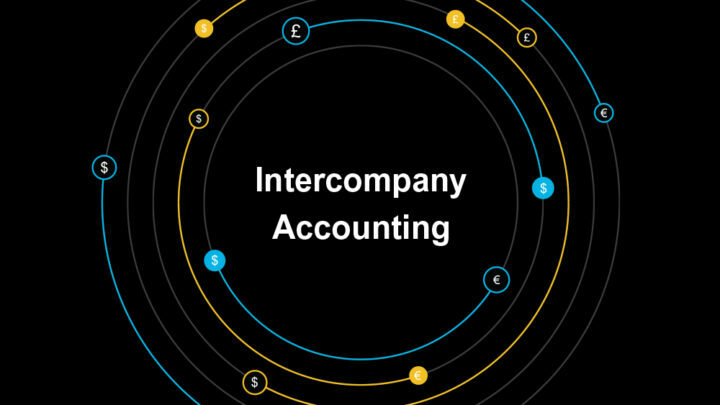 In an era of global trade, mergers and acquisitions, and increased regulations, intercompany accounting is a significant issue that affects companies of every size. When organizations significantly expand their global footprints, a spiraling number of intercompany transactions are generated and immediately complicated by local tax policies, currencies, transfer pricing, and disparate systems and applications. If these kinds of transactions are not eliminated correctly, any out-of-balance accounts can seriously impact financial statements, creating compliance issues, the risk of restatement, SEC imposed fines, and shareholder lawsuits. The complexity of intercompany accounting increases as it expands beyond accounting and finance and into the tax and treasury department. Companies must analyze the value chain to understand and execute accurate taxing policies and transfer pricing agreements. Understanding cross-country netting rules and consolidating for settlement requires detailed transaction information. As volume grows, the use of spreadsheets, email or verbal approvals, or other workarounds exposes organizations to significant financial, compliance, and reputation risk. Managing intercompany transactions can be labor-intensive and costly. Reconciling large volumes of data and tracing back errors to mitigate risk is often hampered by limited cross-entity visibility. Because it’s highly distributed, there can be fewer controls and lower accountability. Correctly classifying profits across countries requires following specific local tax laws and transfer pricing agreements. Regulatory authorities are requiring country-by-country reporting and access to detailed transactions in order to avoid significant fines and fees. Cumulatively, they can drain valuable finance, accounting, tax and treasury resources, create redundant work and outstanding balances, and elevate exposure risk. In fact, per Audit Analytics, intercompany issues were the fifth highest reason for restatement, and in the top quartile between 2001 and 2014. In a 2016 survey by Deloitte of over 4,000 accounting professionals, nearly 80% experienced challenges with intercompany accounting around disparate software systems within and across business units and divisions, intercompany settlement processes, management of complex legal agreements, transfer pricing compliance, and FX exposure. With multiple stakeholders, large transaction volumes, complicated entity agreements, and increased regulatory scrutiny, it’s painfully clear that intercompany accounting requires a structured end-to-end process. BlackLine’s Intercompany Hub centralizes end-to-end intercompany accounting management to reduce complexity and risk, streamline processes, and realize global visibility. It is designed to eliminate what has become known as the biggest bottleneck to a fast, accurate global financial close with an integrated intercompany accounting process. The Hub empowers organizational entities and business units to create, approve, review, and reconcile intercompany transactions and net settlement balances across currencies and geographies in real time, delivering elevated levels of efficiency, transparency, and trust. Modernizing your intercompany accounting process inspires greater productivity and detects accounting errors before they lead to devastating financial restatement. It enables your teams to perform real-time and continuous analysis of global intercompany settlement, and present the CFO and Controller with the information they need at any given moment. Ultimately, it empowers your organization to become exceptional in every step of the intercompany accounting process, while equipping finance leaders with data-driven intelligence.